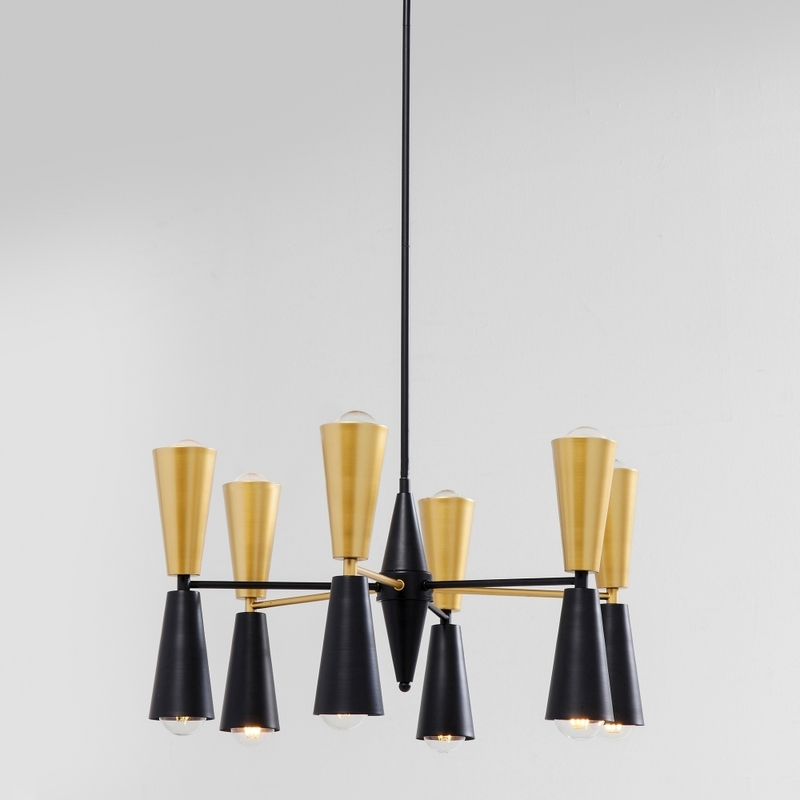 Indulge your dining room with this unusual 12 Torch Light Chandelier Black & Gold Pendant Lamp. With its black and gold colouring, this luxurious chandelier light will add the wow factor to your home or entertainment venue. Featuring 12 lights overall, this ceiling lamp will illuminate both up and down at the same time. Perfect for a maximalist decor style or a retro theme with bold lines and shapes, this pendant lamp is an extraordinary decorative piece.